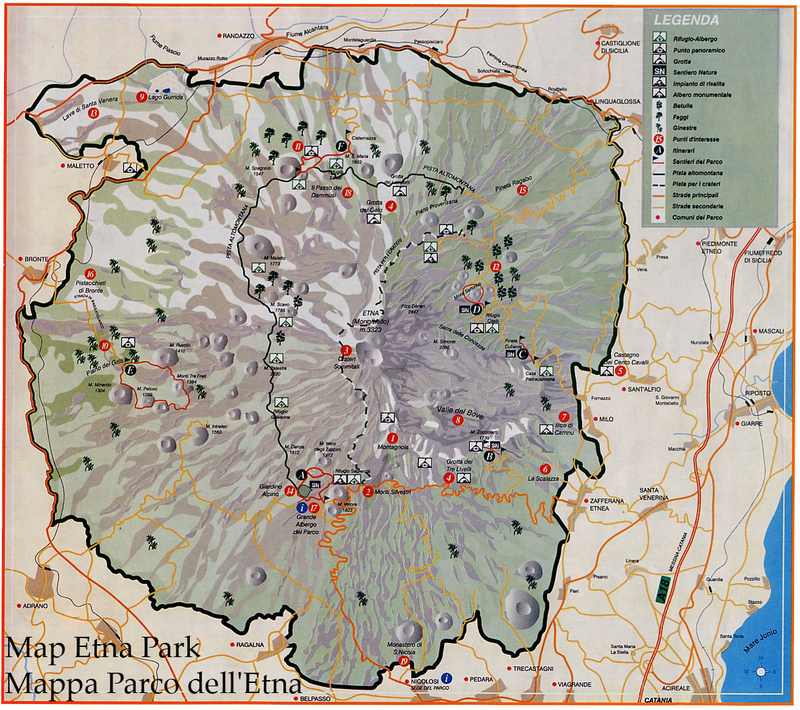 The excursion that we propose develops on the southern side of Etna and has as scenery the craters of the recent 2002.03 eruption. The departure is from the Rifugio Sapienza (at 1.900 m a. s. l.- South Etna) where first you will take a modern cable car so as to arrive to 2.500 m, then a special off road minibus in order to reach 2.900 m, where, accompanied by an authorized mountain/volcanologic guide you will visit the craters born after the eruption of 2002.03, which during about three months of activity changed deeply this side of the volcano. From this altitude you can also observe the beauty of the summit of Etna as well as a wonderful panorama below the highest active volcano in Europe.